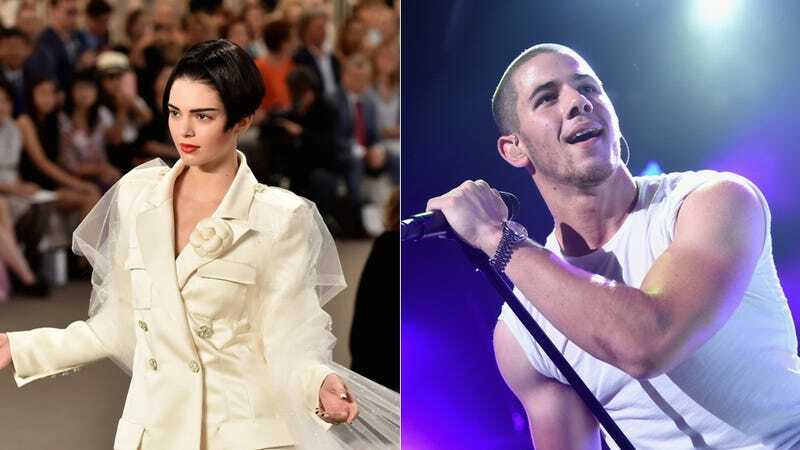 Today in exciting dating news, the PR teams for Nick Jonas and Kendall Jenner really want you to think that the hot young celebs are a thing! According to US Weekly, the pair was set up by Nick’s brother, Joe Jonas, and model Gigi Hadid. Sure they were! Their scheming paid off. After being recently reintroduced, Jenner and Nick, 22, are getting to know each other better over text, but “they had a flirty chemistry from the start,” says another source close to the “Jealous” singer. Congratulations to Gigi Hadid, Joe Jonas, and Nick Jonas and Kendall Jenner’s managers (Manatt, Phelps, & Phillips and Kris Jenner, respectively) on a match well made!